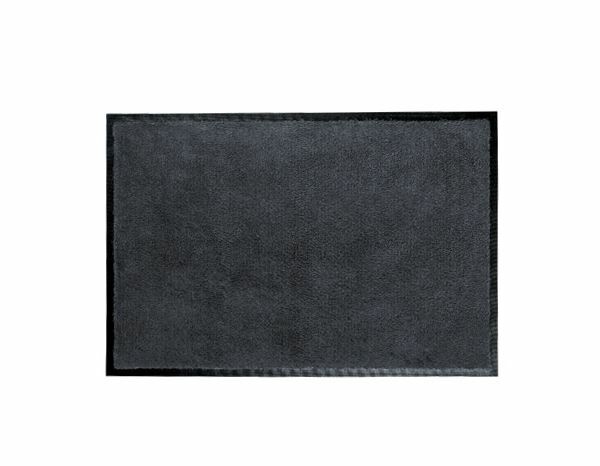 These special mats with a rubber edge pick up dirt and moisture. They therefore keep your entrance area clean and ensure that nobody slips over or falls. Weather-resistant for indoors and outdoors, also absolutely lightfast. Absorbs footfall noise, clearly reducing noise nuisance. Rubber edge is black. Washable up to 60 °C, can be tumble-dried up to 90 °C.